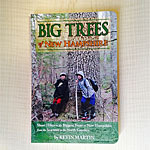 The Big Trees Book - Goosebay Sawmill and Lumber, Inc.
Big Trees of New Hampshire directs you on 28 hikes to find 85 of the largest trees that are on public land can see them up close. 4th generation NH native and outdoor man Kevin Martin shares stories of big trees around the state, along with information about their history, management and caretaking. Author and wooden boat builder Kevin Martin brings you through the woods and into some cities all over New Hampshire to find these impressive living parts of our landscape. Some of the hikes include the state’s largest northern white cedars in Clarksville that have been marked by bears for generations and the horse chestnut in Portsmouth that was planted by a signer of the Declaration of Independence in 1776. 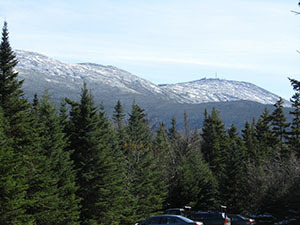 New Hampshire has 7 national champion Big Trees and a few of those are also shown. 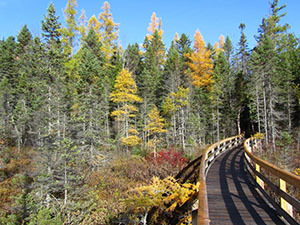 Big Trees of New Hampshire directs you on 28 hikes to find 85 of the largest trees that are on public land or in the cities where the public can see them up close. 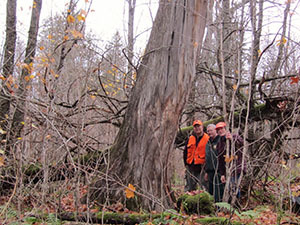 4th generation NH native and outdoorsman Kevin Martin shares stories of big trees around the state, along with information about their history, management and caretaking. Kevin lives in Epping, NH.